Mate of mine bought it to get back into a boosted P car. It would have been coming from the PCSS track day out at Eastern Creek today. There were 3 out there and an assortment of GT3RS' also, they had a good turn out and it was a fun day out, the weather held for the most part! 1q2w3e4r replied to Uncle's topic in Not Porsche - Everything Else. Removing/ Polishing scratches from window glass. 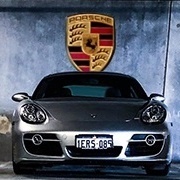 Porsche made 345 world wide, I think Aust got 12 or 15 cars from memory, all were 98 models. I took it as a reference to the ex Jim Richards white TT? Not sure if its currently for sale though. I didn't think Dave ticked the box for that, but wouldn't surprise me that the SA didn't sort it when processing the order! Circa 4,200-4,300 in the .1 and currently bit under 3k for the .2 RS' They've made about 11k GT3s across the .1 and a bit less of the .2 which is still in production - they are not rare. Not quite correct, they are both owned by the same private equity mob now since about 6 months ago.